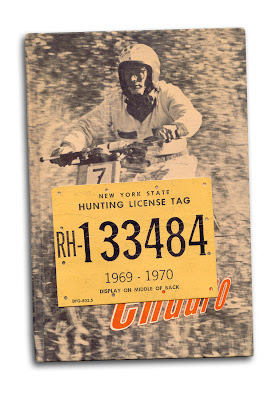 Hunting license for New York State, 1969-1970. Found in "Enduro" by Thomas Firth Jones. Published by Chilton, 1970.